Focused on the topics needed by coaching, physical and health education, exercise science, sports medicine, and other health science students, without the complicated extraneous material found in other texts, this new edition has been substantially revised to meet the needs of the non-athletic training student. Instead of rehashing material from a comprehensive athletic training textbook, authors Marcia Anderson and Gail Parr provide a truly unique text that addresses the specific needs of students who will be expected to provide initial care to an injured athlete without immediate access to a certified athletic trainer. 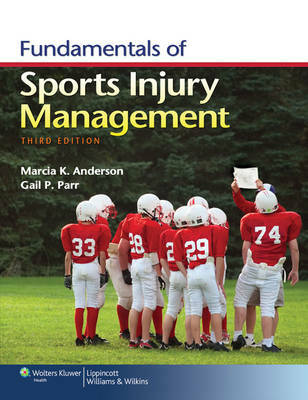 In addition to appropriately structuring the content for these non-athletic trainers, the authors also provide relevant pedagogical features for students to successfully understand and retain the material, including key terms, chapter objectives, and case study questions that require students to analyze a situation and determine the best course of action. Red Flags and Application Strategies further reinforce the real-world application of the material.